Manufactured from 100% nylon 66 fibre and constructed with a braided nylon cover over a braided nylon core. 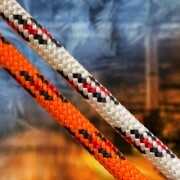 ABL double braid nylon meets Canadian government and MIL specification (40-GP 16M Type 1). 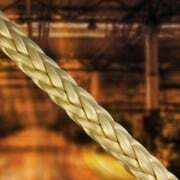 This DBN rope has high strength, controlled stretch and it is abrasion resistant. 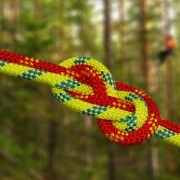 Manufactured from 100% high tenacity polyester fibre and constructed with a braided cover over a braided core. This product provides the best combination of high strength, low elongation and abrasion resistance of any polyester rope available. 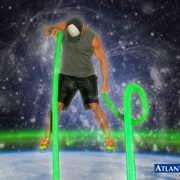 ABL Battle Rope - Durable, heavy battle ropes with ends that are whipped and then dipped in a thick polymer to form handles that provide lots of grip. ABL Soft Shackles are an excellent alternative to steel shackles in certain applications as they are very light weight and offer extremely high strength with very little stretch. Arborist soft shackles are an excellent alternative to steel shackles in many applications as they are very light weight and offer extremely high strength with very little stretch. 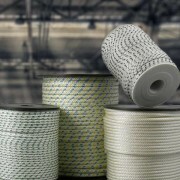 This nylon rope is constructed with a diamond braid and manufactured from 100% high tenacity nylon and works as a general utility cord in many applications. Manufactured from high tenacity 100% continuous filament nylon. It is an excellent product for use in lobster and crab pots, nets, decoy line, mason line, repair and as an all purpose utility cord with excellent abrasion, U.V. and chemical resistance. Manufactured from high tenacity 100% continuous filament polyester. 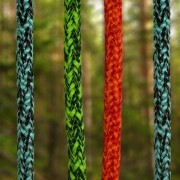 Product is available in multiple colours of yarn. 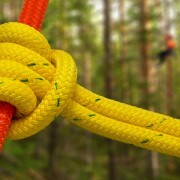 Utilizing the immense stability of the Dyneema® fibre rope significantly increases the safety of rope bridges. BB6K has excellent strength at only 9/32" diameter providing a spliced break strength of 6000 lbs.! 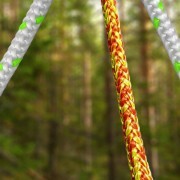 Manufactured on a 16 carrier machine, this double braid polyester clothesline is available in white or in white with either a blue, green or orange tracer. 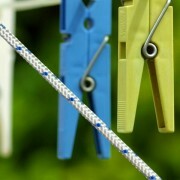 As the name implies this product is most commonly used as a clothesline. 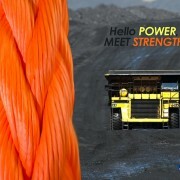 CoreX-12™ has the strength to replace a steel cable, it has very low stretch and it is light weight. 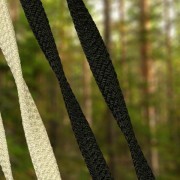 A durable polyester jacket protects the Dyneema® core of this synthetic rope. CoreX-Pro is constructed with a polyester cover over a SK78 Dyneema® fibre core, it has been designed for professional sailing and high performance kite-line applications. Designed as a superior quality spear fishing line and constructed with a polyester cover over a SK78 Dyneema® fibre core. Diamond-Lite™ is made with Multi-Filament Polypropylene (MFP) and is used for net top lines, hand lines and life ring heaving lines. 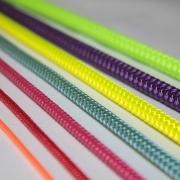 ABL Dinghy Ropes are manufactured using 100% high tenacity polyester and are available in a multitude of colours, with many uses on or off the water. This product floats on water and is excellent for use as a water rescue line, light mooring line or as a crowd control line. 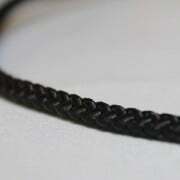 Manufactured as a very tight diamond braid our Drapery cord has a 100% nylon cover and core. This product is excellent for use in Venetian or vertical blinds. Manufactured from 100% high tenacity continuous filament nylon. Dynamic-12M™ is easy to splice and mitigates shock loads. 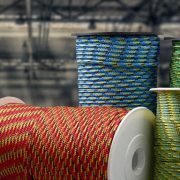 Endurance™ is a high strength semi-static kernmantle climbing line constructed with a 32 strand polyester jacket over a nylon core of twisted parallel strands. This throw line is available in diameters ranging from 0.8mm to 2.8mm. 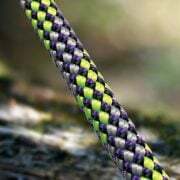 This high strength, low stretch and light weight rope is coated with our slick polymer colour coating which adds additional abrasion resistance for longer life. 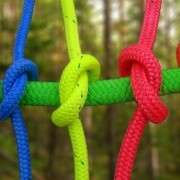 General Purpose Nylon Sash braid rope is manufactured with continuous filament nylon. It has a smooth, round surface and remains torque free under tension. General Purpose Polyester Sash is manufactured from 100% high tenacity polyester. This cord is flexible and torque free with a smooth surface that is abrasion resistant and uniformly round. 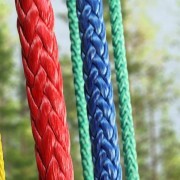 Manufactured as a 12-Strand 100% polyester climbing rope. This product has high strength, low stretch and it is abrasion resistant. Even with extensive use, this single braid product will maintain its shape and flexibility. This climbing line is very flexible and has very little stretch. 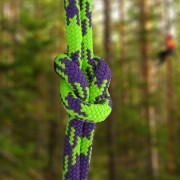 These products are excellent for use as a climbing lines for tree care professionals with superb knot holding ability. 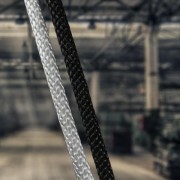 This product is tightly braided with 100% Dyneema® and has no core. HeatBoss-12™ has extremely high strength combined with a very high melting point in comparison to rope made with other fibres. Polyester rope specifically braided without a core. 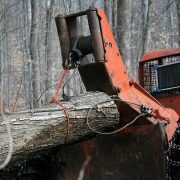 When compared to steel cable limb support systems, the synthetic line is lighter in weight and easier to work with as no nuts or bolts are required and the flatness of the synthetic hollow braid rope means that it will not bite into a tree as with a steel cable. Jerk-It-12™ K.E.R.R. (Kinetic Energy Recovery Rope) uses the kinetic properties of nylon to recover vehicles that are stuck in mud, snow or sand. We manufacture in diameters suitable for all sizes of equipment. Jerk-It™ K.E.R.R. Lines (Kinetic Energy Recovery Rope) use the kinetic properties of nylon to recover vehicles that are stuck in mud, snow or sand. We manufacture in diameters suitable for recovering the smallest off road atvs and buggys up to diameters suitable for recovering large trucks, tractors and other large equipment. Kourage-12™ is manufactured with Kevlar® fibre and coated with our ABL polymer. 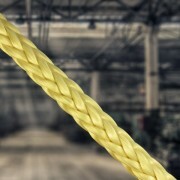 This 12 Strand braided rope is an excellent alternative to steel cable. 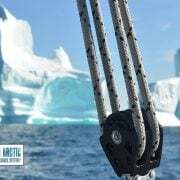 Manufactured with 100% high tensile polyester, this product is braided very tightly, resulting in a stiff cord which is used primarily as ribbing in sails. 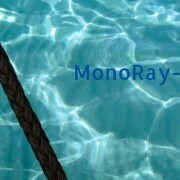 MonoRay-12™ is made with Mono-Filament Polypropylene, it floats and is excellent for use as a general utility line in a multitude of applications. This cord is manufactured to a precise diameter with a smooth surface and a uniformly round solid braid, it also has excellent wear resistance. 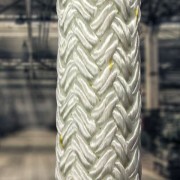 Braided Spun Polyester Cover over a Spun Polyester core. 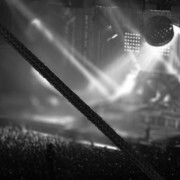 Odeon Cloak-SPC™ is a small diameter stealthy stage rope made entirely out of spun polyester. It offers low stretch and a soft cotton-like feel for improved grip. 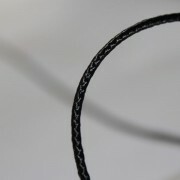 Braided Spun Polyester Cover over a Continuous Filament Polyester core. 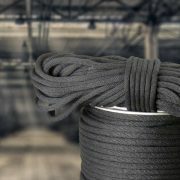 Odeon Cloak™ is a small diameter stage rope designed with a higher strength continuous filament polyester core and a soft stealthy spun polyester (cotton-like) jacket offering improved grip. 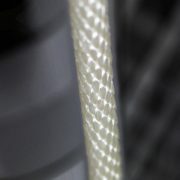 Braided Spun Polyester Cover over a Braided Continuous Filament Polyester Core. Odeon™ stage rope has a braided core providing good strength and low stretch with a spun polyester jacket offering a soft and comfortable grip. 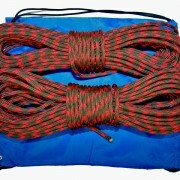 ABL Polyester Utility Cord is manufactured using 100% high tenacity polyester. 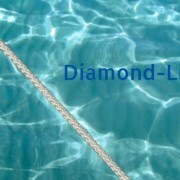 This diamond braid polyester rope has many uses on or off the water. PS-12™ is made with Polysteel® fibre which has nearly twice the strength of traditional Mono-Filament Polypropylene. It floats and is excellent for water use and as a general utility line in a multitude of applications. Reliance™ is a high strength static kernmantle climbing line with a 32 strand polyester jacket over a polyester core of twisted parallel strands. 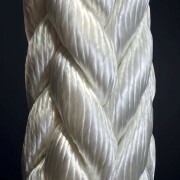 Sash Braid Spun Polyester is made with 100% Spun Polyester. 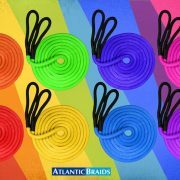 This product has excellent grip and is an excellent alternative to cotton sash braid as it has the same soft cotton-like feel. This product is ideal for use as tie downs for tarpaulins and it is also of service to the sporting, camping equipment and boating industries. 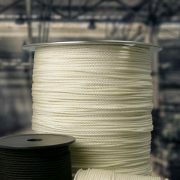 Solid Braid Nylon is an excellent general purpose utility cord manufactured from 100% continuous filament nylon fibre. This general purpose utility cord is manufactured from 100% continuous filament polyester fibre. 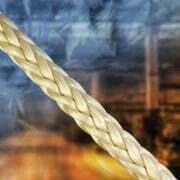 Solid-Lite™ rope is a lightweight (floating) solid braid MFP rope with low stretch, ideal for use as an anchor line or light duty general utility rope. Manufactured from 100% high tenacity continuous filament polyester. 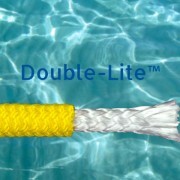 Static-12M™ is easy to splice and it has low stretch. 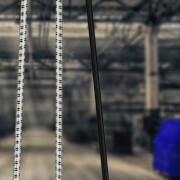 This construction provides one of the highest strength to weight ratios for a polyester rope. Static-12™ is easy to splice and can be coated for even greater durability. 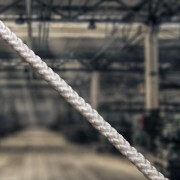 This 12 Strand Polyester rope provides the highest strength to weight ratio for Polyester and it is easy to splice and can be coated for even greater durability. 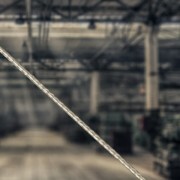 12 Strand Rope, made with Dyneema® SupreemX-12™ is a 12-Strand Dyneema® Fibre Rope (UHMWPE), a steel cable replacement which is light weight, floats in water and has very little stretch. 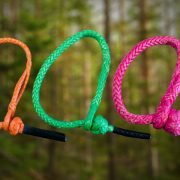 Made with a braided polyester cover over a braided nylon core, ideal for use as winch or tow lines as well as setting underground cable. This product can be spliced and combined with hooks of various sizes. 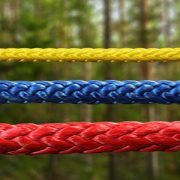 TITAN-BRAID™ coated rope is manufactured with a braided polyester cover over a braided nylon core and coated with our ABL polymer colour coating. This bull rope is ideal for use as winch or tow lines as well as setting underground cable. 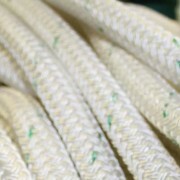 This rope can be cut to length, spliced and combined with hooks of various sizes. Ideal for use as winch or tow lines, this product can be spliced and combined with hooks of various sizes.This product is renowned for its strength and durability. TorX-12™ is the directional line that never loses its stripes. 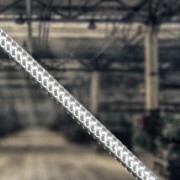 It is a steel cable replacement rope which is light weight, floats in water and has very little stretch. 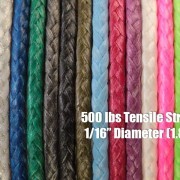 This product is constructed with a high tenacity 100% Vectran (LCP) braided core and a 100% polyester braided cover. The result is a light weight, low stretch, high U.V., high temperature and abrasion resistant product. The product has many uses including sheets, halyards, winch lines and lifting slings. This is a steel cable alternative. It has extremely high strength, low stretch and is light weight. The Vectran® fibre makes it lighter and safer to handle with bare hands than steel cable. 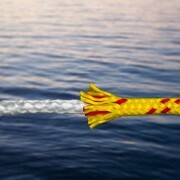 Any rope or steel cable will fail if it is worn out. 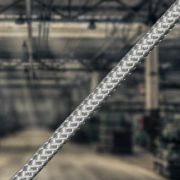 There are many other safety factors to consider in the application and use of steel cable or wire rope. 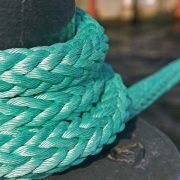 For more information, you can consult the Cordage Institute’s International Guideline on the Safer Use of Fibre Rope available here. 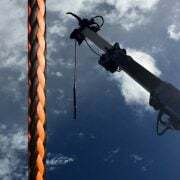 *A safe “Working Load Limit” or WLL is determined by dividing the nominal strength of a rope by an appropriate design factor. For example: A factor of 10 to 1 would mean a rope with a minimum break strength of 30,000lbs would have a WLL of 3,000lbs. Finding answers shouldn’t be hard. Office Hours: 8am – 5pm Mon.-Thurs. 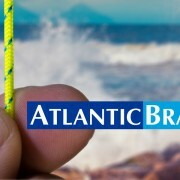 | 8am – 4pm Fri.
© Copyright - ATLANTIC BRAIDS LTD.